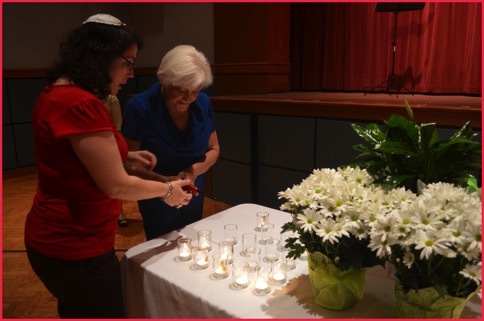 The Levite Jewish Community Center, Birmingham Jewish Federation, Birmingham Holocaust Education Center and N.E. 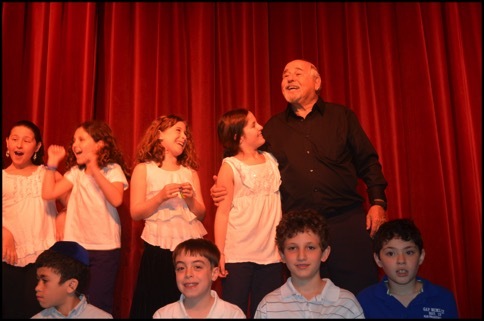 Miles Jewish Day School hosted a touching and meaningful Yom HaShoah (Holocaust Remembrance Day) program. The guest speaker, Michael Stolowitzky, recounted his powerful Holocaust-era story of survival and hope. His saga is chronicled in a powerful book called Gertruda's Oath. Students from the Jewish Day School performed music from "Schindler's List," Steven Spielberg's well-known movie about Oscar Schindler's efforts to save Jews during the Holocaust. Regardless of faith, race, gender or economic status, the lessons of the Holocaust must to be taught to every generation, in the hope of a more just and peaceful world. Yom HaShoah is especially meaningful for me as I lost my grandmother, Blume Klein and my Aunt Toibe, and Aunt Dora to the Holocaust. I have dedicated my historical novel, The Nine Inheritors, and my memoir, Behind the Walled Garden of Apartheid in their memory.